Combine all ingredients in a small bowl and stir until smooth. Cover and chill until ready to serve. 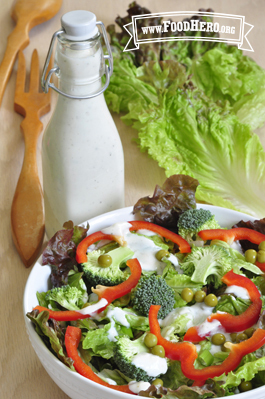 For a thinner dressing, add an extra 2 to 3 tablespoons of low-fat buttermilk.